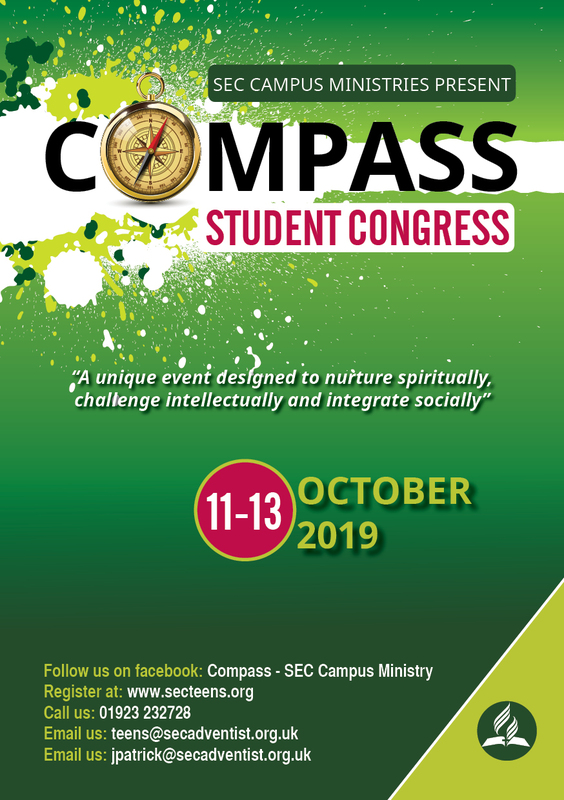 The South England Conference of Seventh-day Adventists Campus Ministries would like to cordially invite you to join us at Compass: Student Congress 2019 — an event designed for you to be spiritually nurtured, socially integrated and academically challenged. 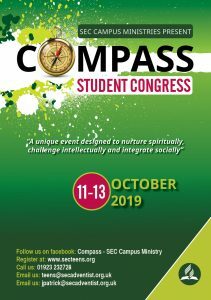 This will be our second congress, and we pray that it will be a life transforming experience for all the students and friends who attend. All are welcome, so please invite your fellow students and friends from across the UK, and beyond, to experience the power of God’s mercy and love, as we expand our social networks. Please fill out the form below to register your interest, and make your payment to confirm your place.